“Supporting these accounts comes with other demands and we’re working hard on addressing them so we can get Inbox to Google Apps users,” wrote members of the Inbox team during a Reddit AMA (Ask Me Anything) session Wednesday. 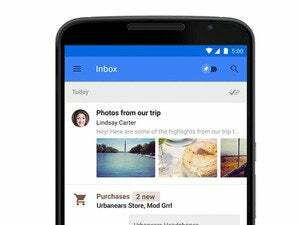 Google released Inbox in preview mode and via invitation only in October. It runs on the Chrome browser, and on apps for iPhones and Android smartphones. Google built Inbox from scratch, independent from Gmail, in an attempt to reinvent email by taming clutter and featuring a variety of assistive capabilities for automating the sorting and categorizing of messages and processing of tasks. Inbox is being tested by users of personal Gmail accounts, but interest from Apps suite customers has been intense. “We were pleasantly surprised to see how open-minded Inbox users are to making big changes to their work email workflow, and the high demand for Inbox on Google Apps accounts has already caused us to speed up our efforts to bring Inbox to all of you. Hang tight!,” the Inbox team wrote. Echoing the feelings of several other Google Apps users, a Reddit AMA session participant wrote that Inbox would be more useful in a workplace context than in personal accounts. Inbox: a better tool for business? The Inbox team is also prioritizing porting Inbox to other browsers, and releasing Inbox apps for iPads and Android tablets. The roadmap also includes integrating Inbox with Google Drive. The team is also interested in letting Inbox handle email from other webmail providers, like Yahoo and Microsoft. “Inbox is something new—that’s why we’re launching it as a separate product. We care deeply about Gmail and Gmail users, but in the long run as we add more features to Inbox and respond to user feedback we hope that everyone will want to use Inbox instead of Gmail. Ultimately, our users will decide,” they wrote. They were also asked why Google opted to build a separate product, instead of improving Gmail, and they said that the way people use email has change too much since Gmail’s launch 10 years ago, so they felt they needed to build a new app from the ground up. “With Inbox, we took a step back and did a lot of research into how most people are using email today. What we found was that email works as a to-do list for many people, that phone usage is starting to eclipse desktop usage, and that many people have negative feelings towards email because it feels like so much work,” they wrote.